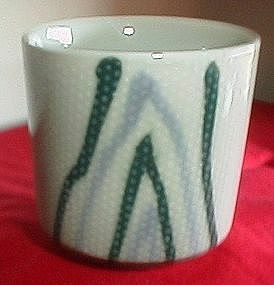 Oriental tea/saki cup, dark green, light blue and white dots on an aqua background, the lines are hand painted. 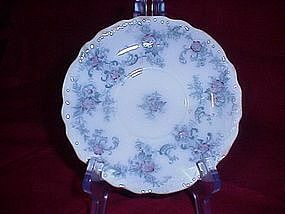 May be porcelain, excellent condition, no maker mark. 2 3/4" high by 2 3/4 diameter. 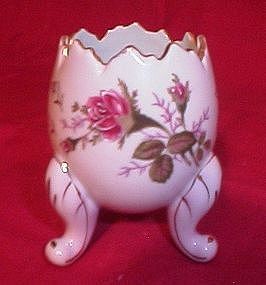 Napco footed egg vase, soft lilac with deep red roses and lovely greenery, gold outlining. Number on bottom 3H3I99/SAbout 4 inches tall, near perfect condition.